Good Morning, gals! How are you? How was your weekend? 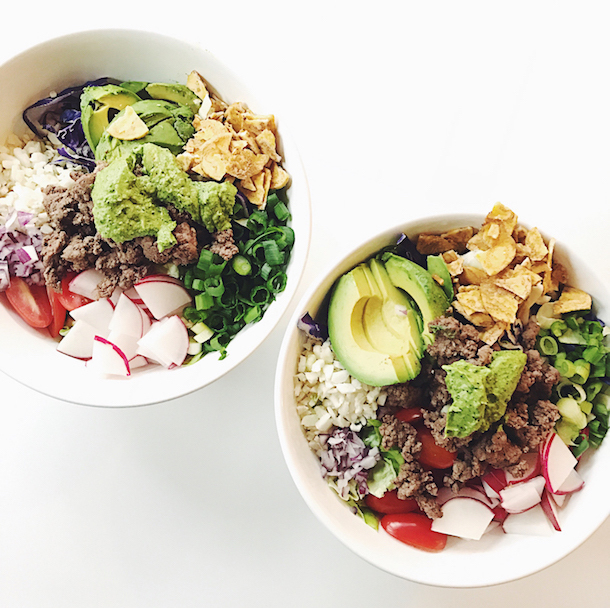 Today I’m blogging a huge Instagram style round up! 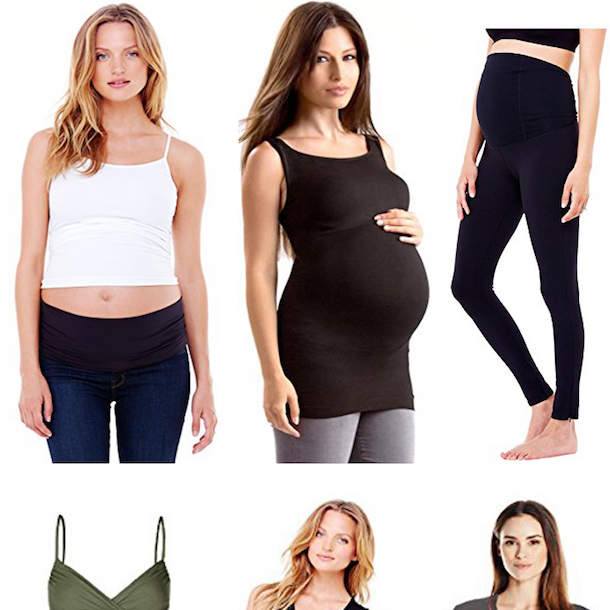 I know that the the algorithm makes things really easy to miss, so hopefully these roundups are easy to have everything together in one place, with sizing info. 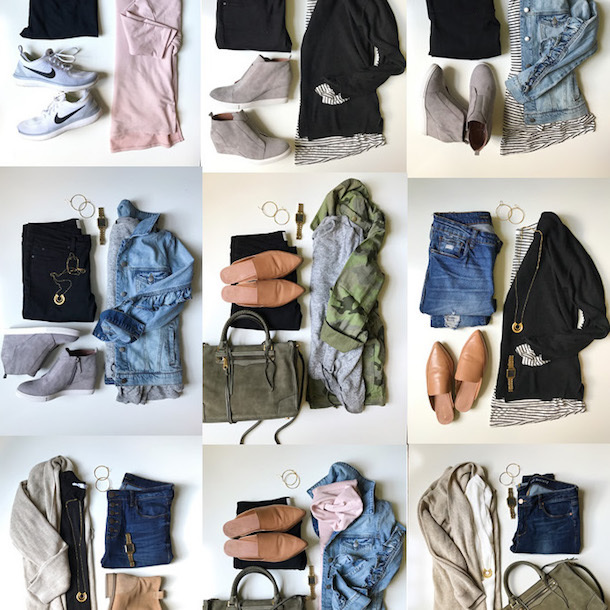 I’m also naming my most worn pieces from March at the end of the post. 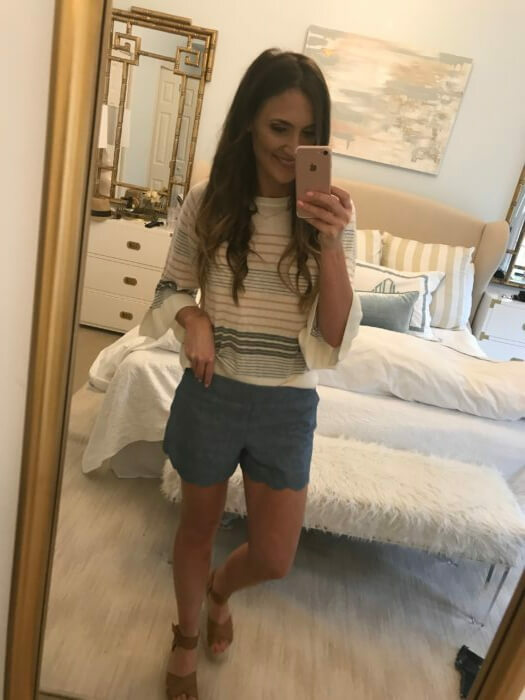 It’s been challenging to keep up with Instagram while moving, but I will say that I’ve been posting more off the cuff outfits and casual style that I’m actually wearing on the day that I post it and it seems like you guys are really liking that, so I plan to keep it up! The girls and I dressed up for a little “Welcome Back to Dallas” party that our friends threw for us! 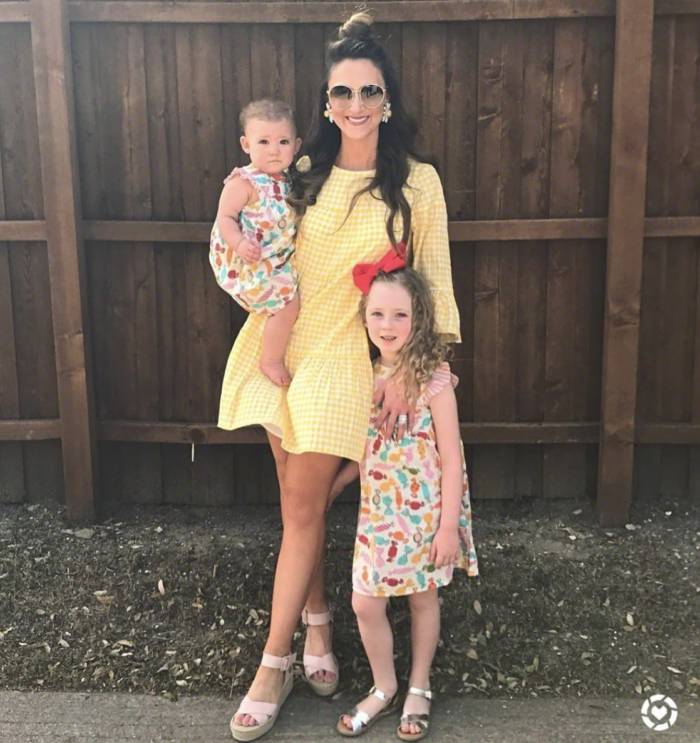 Size down in my dress (I’m wearing a 4) and the darling dresses for the girls are BOGO 50! Wore this outfit this past Saturday for a beautiful + warm day. I always reach for this tunic when I don’t want to think about an outfit and it always delivers. 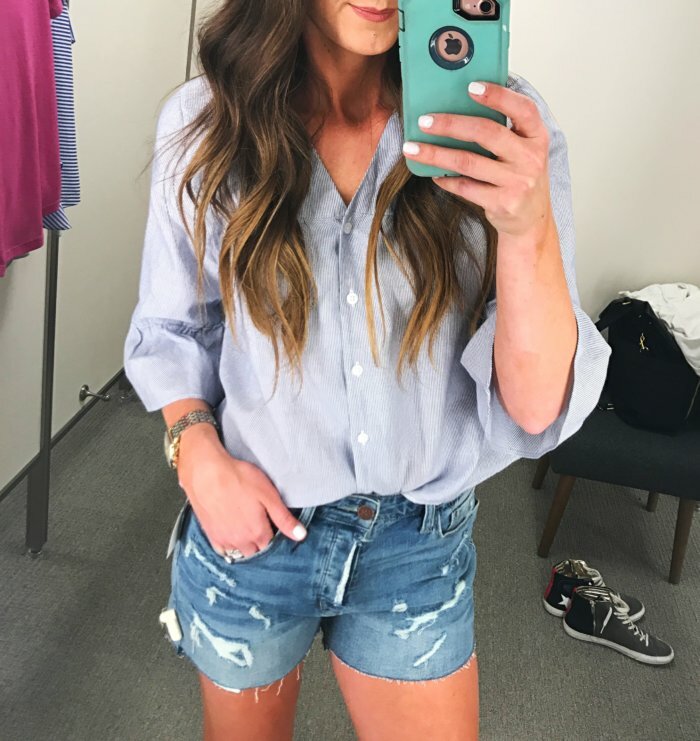 Don’t be afraid to tuck it into shorts! 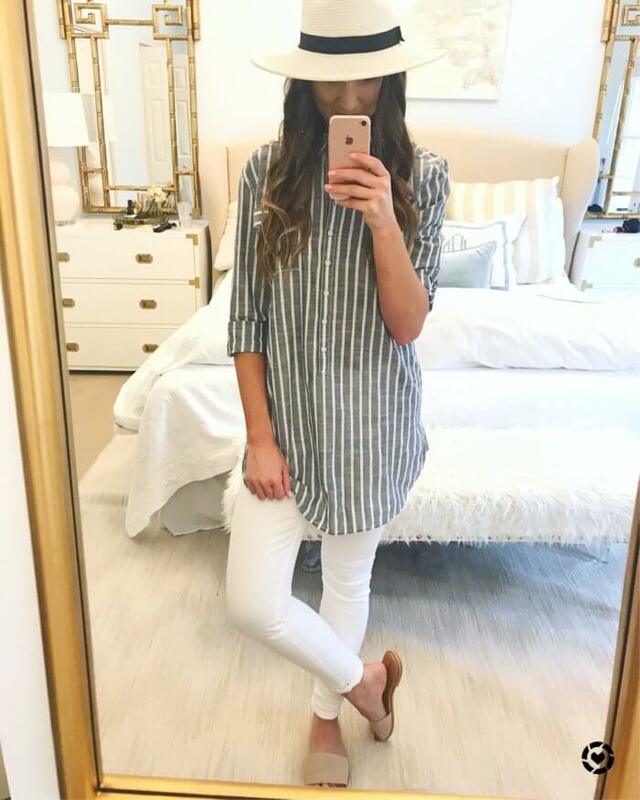 Another Saturday look, wearing the heck out of these Birkenstocks…they run TTS for me! 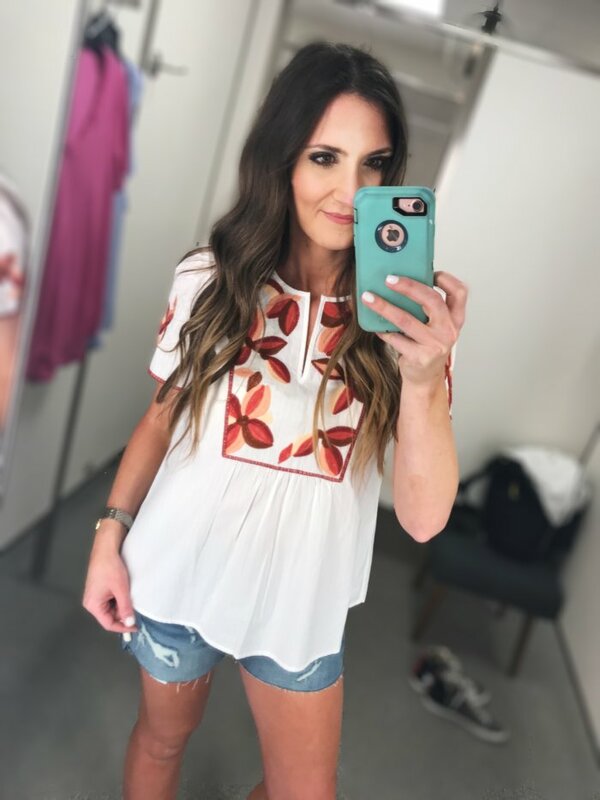 Love this embroidered top for Summer. Great with white jeans or denim shorts. 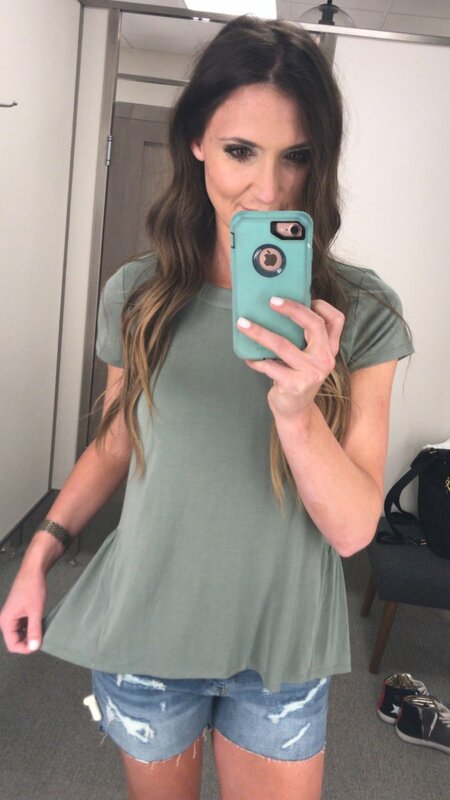 This was such a fun date night top. 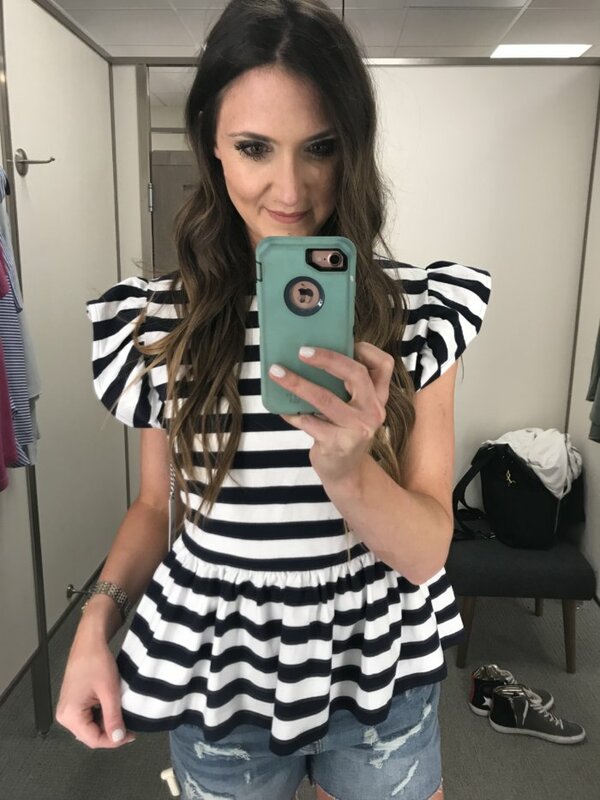 The asymmetrical lines were made more feminine by the ruffles and it’s so much fun to wear. It just got marked down to under $30, too! 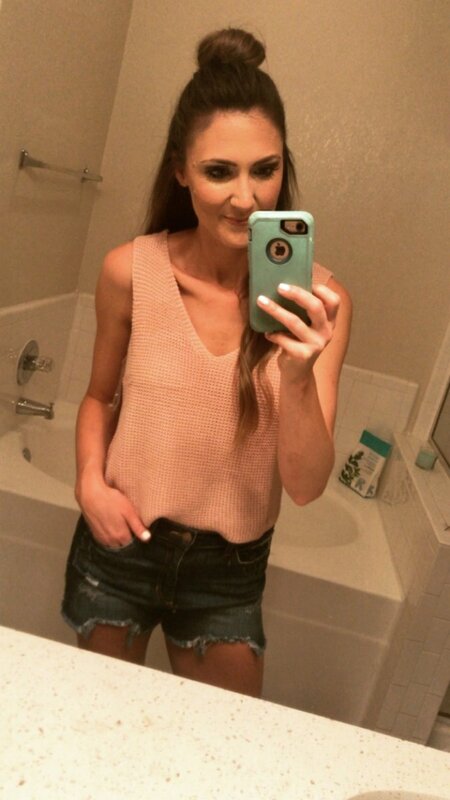 Another super cute date night top! It’s really lightweight and breezy with the ties all the way down the arm. Love it paired with white denim. I had to take this cutie home with me. 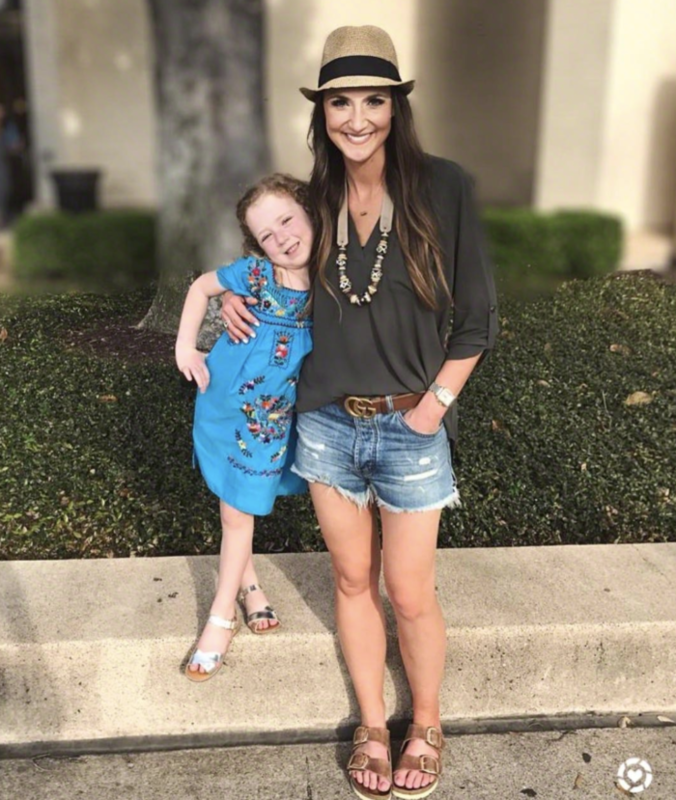 It’s a super lightweight, button front top that is PERFECT for Spring and Summer. It’s nursing friendly and has enough details to make it feel a step up from a regular button front. 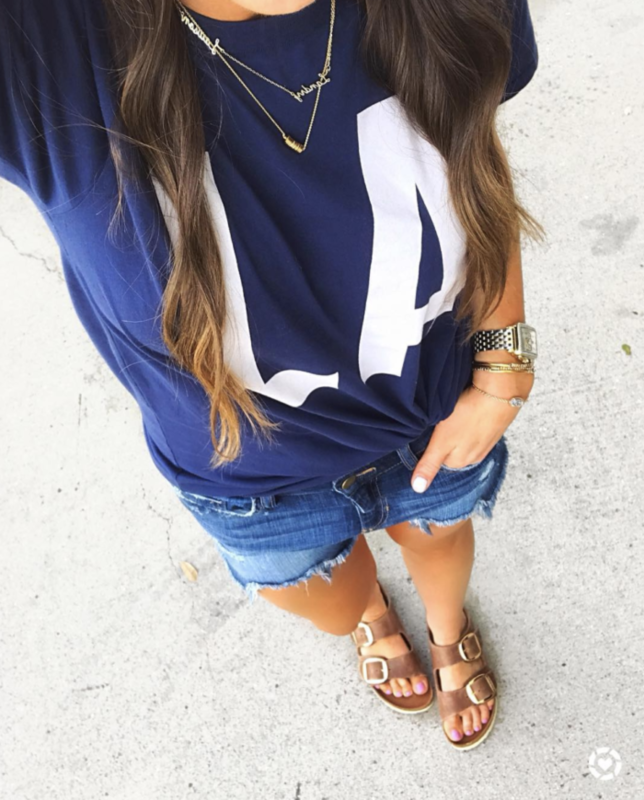 Found: a great Summer tee for under $20! 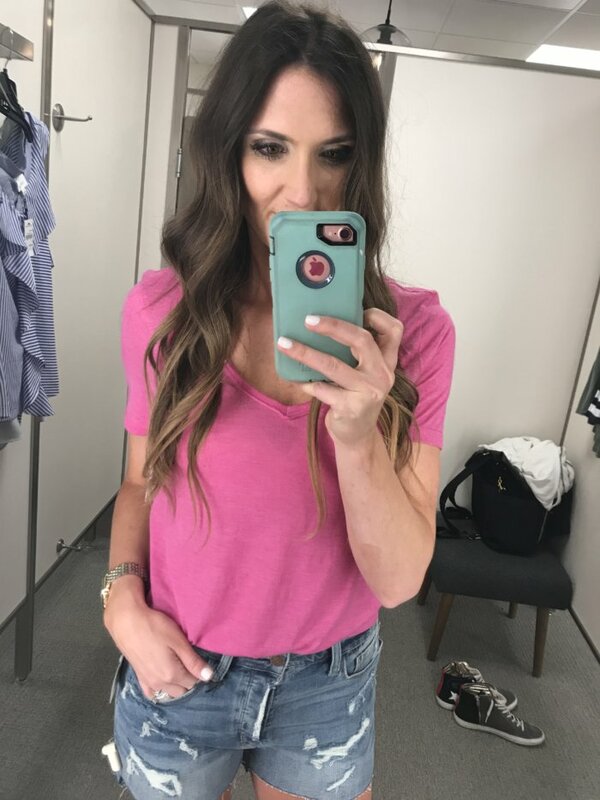 This one has a fun raw hem that makes it feel more laid back, but this punchy pink color looks especially flattering with a tan. Comes in a ton of other colors, too! I LOVE this swing tank, in fact I bought it for myself in black. 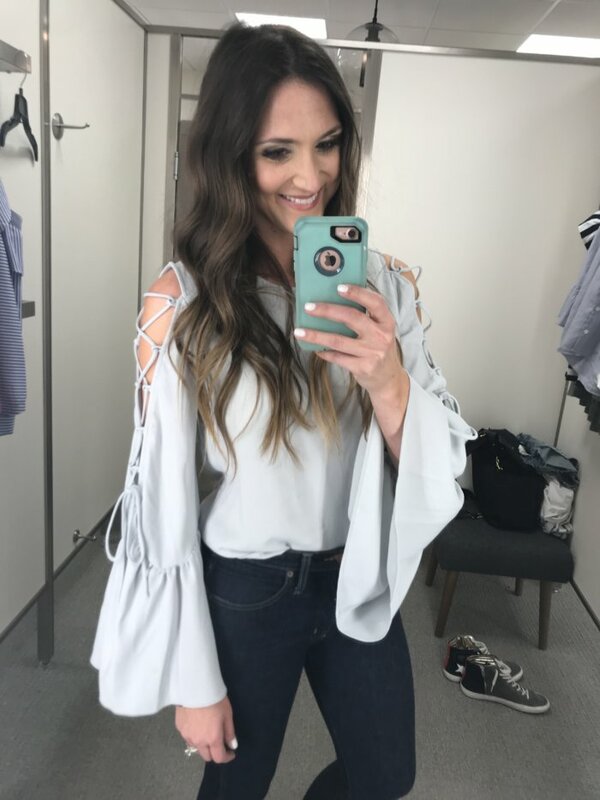 It’s just one of those easy tops that you will reach for during the warm summer months because it’s flowy and flattering. It has a drop armhole, so that you can wear a cute bralette with it and the best part is definitely the price! 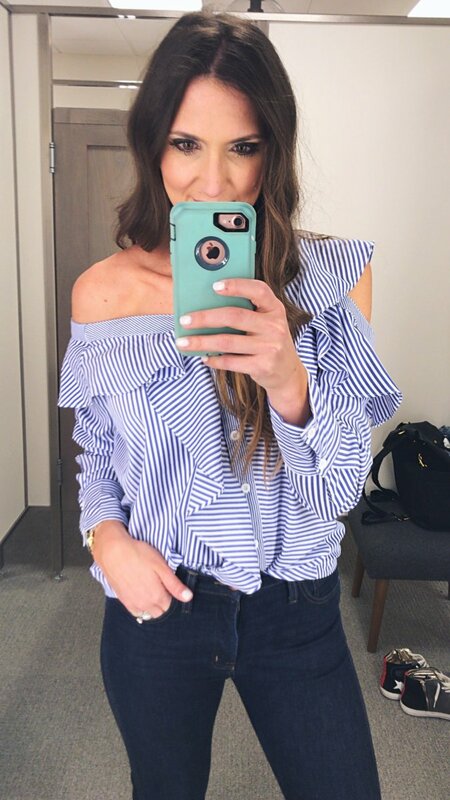 The cutest new line at Nordstrom, this structured top is feminine and flirty. I love it in this stripe, but actually ordered it for myself in the blush. Wear it from work to weekend throughout the Summer. This lightweight tee is a cute fit and has the best little ruffle hem that flows around to the back. It’s just the right amount of detail to take it up a notch (and also cover the bum!). 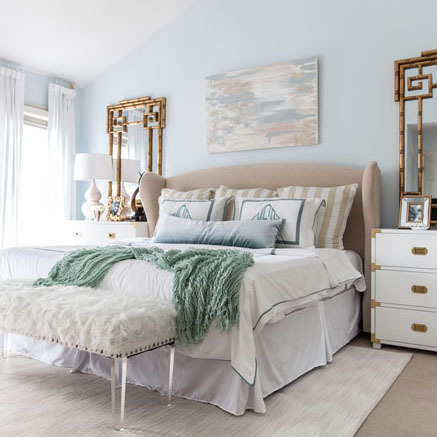 A great price and in quite a few colors. Gah, this lighting is SO bad…I apologize! 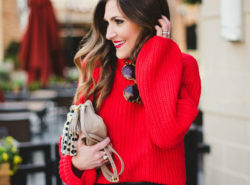 This lightweight sweater was a hit over on Instagram because it’s breezy enough to wear through the Summer months, but has a fun different look. 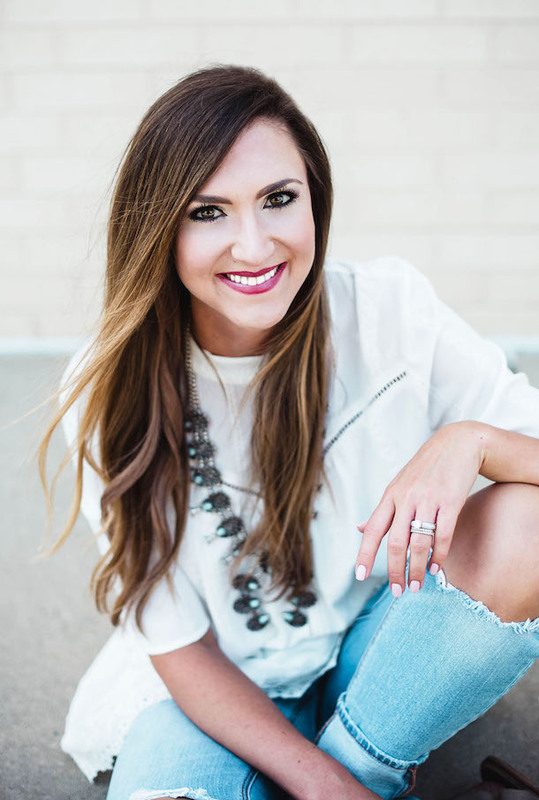 It comes in this dusty rose and a black…easy to dress up or down and under $30! Pulled out one of my favorite (and most popular on SYS) tops for two years running now and really got my use out of it again as we moved and packed. It’s so easy and comfortable and I fell in love with it all over again. I wore it pregnant, nursing, and am still wearing it now. Ultimately I need a new one and should size down (I wore this one up to 40 weeks pregnant). This is a M and I would need an XS (runs very big). This true linen tunic is long enough to wear with jeans, knot up with shorts and also wear as a cute swim cover. The best part is the bow tie back! 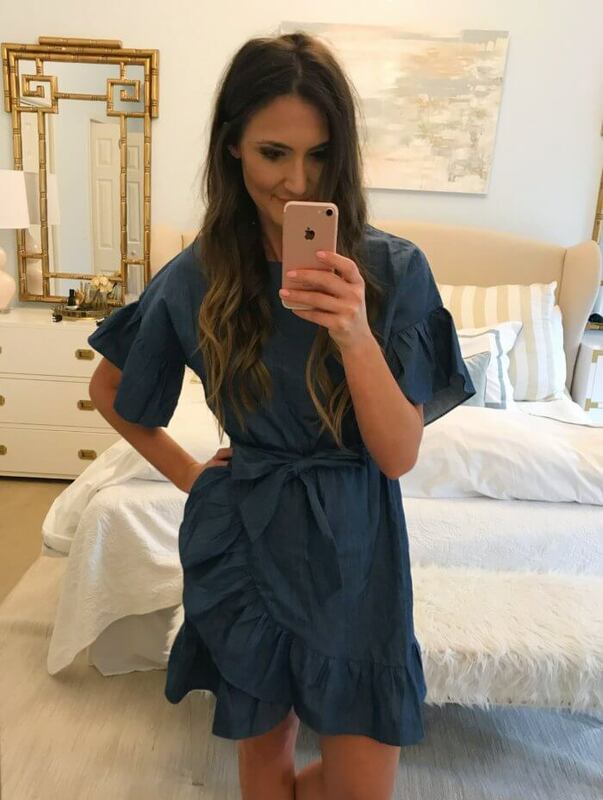 This little ruffle dress sold out in a hot minute, but luckily they brought it back in two new colors for Summer. A wonderful price, darling fit and easy to dress up or down. An easy tee that’s laid back and has just the right amount of details. It comes in a ton of colors, too! 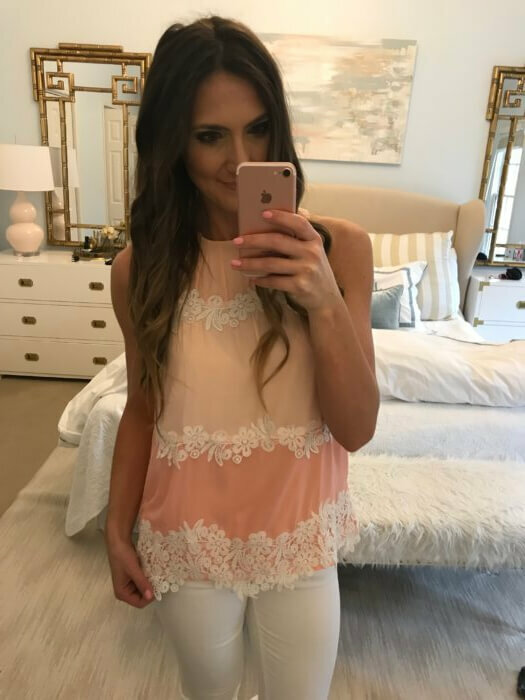 This lace cutout top is both feminine and flirty. It also has the most darling open back…perfect for Festival weather. Here’s another view. These denim shorts are also awesome. I love the length and the higher waisted fit…not to mention the price! 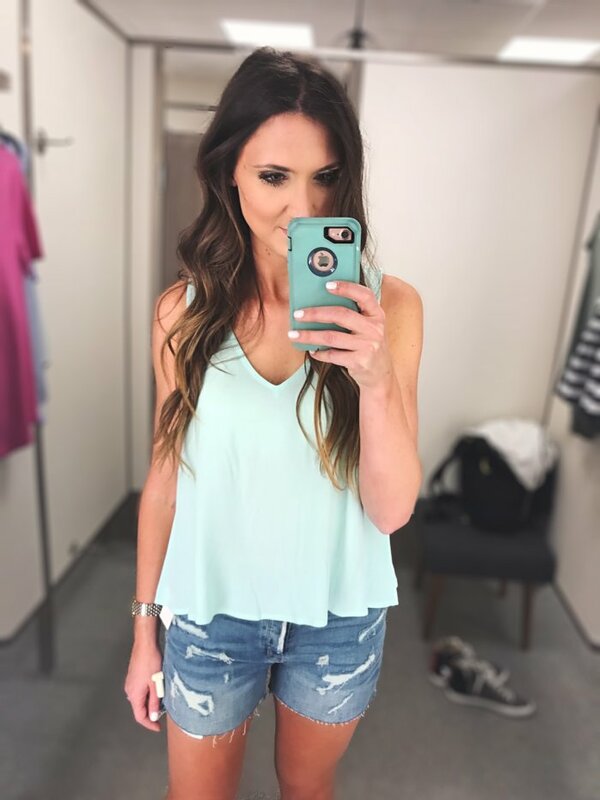 This ombre tiered top is so cute…it stopped me in my tracks at the store and is darling on. Definitely size down and wear it with your best white jeans! Another terrible pic, but another view of this outfit that I’ve posted on Instagram quite a bit. I love the combo and that both pieces can really be worn together or with a ton of other things in your closets.